Solar ultraviolet (UV) radiation is an important risk factor in skin carcinogenesis. This has been attributed mainly to the UVB waveband because the high-energetic photons are capable of interacting with DNA and inducing DNA damage. Recently, UVA light has also gained increasing interest in relation to DNA alteration. Although UVA photons are less energetic than UVB, they comprise a major fraction of sunlight UV radiation and penetrate deep into the skin. 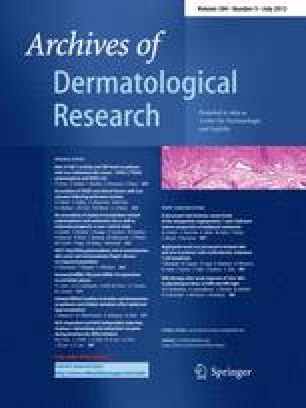 The study was carried out to compare the acute effects of UVA and UVB light on SKH-1 mice in relation to DNA damage and associated parameters. Mice were exposed to UVA (10 and 20 J/cm2) or UVB (200 and 800 mJ/cm2) radiation. The number of DNA single-strand breaks (SSB) in lymphocytes, amount of phosphorylated histone H2AX (gamma-H2AX) and apoptosis or DNA fragmentation (TUNEL-positive cells) in skin sections and level of gamma-H2AX, activated caspase-3 and phosphorylated p53 in skin were evaluated after 4 and 24 h. SSB analyzed by alkaline comet assay were found to be 4 and 24 h following UVB and UVA treatment, respectively. TUNEL and gamma-H2AX-positive cell were observed only in UVB exposed animals at both time intervals. The level of activated caspase-3 and phospho-p53 was increased 24 h after UVA and UVB radiation and was more apparent in UVB treated mice. The results indicate that the mechanism of DNA damage caused by acute UVA exposure includes formation of SSB (oxidative damage), but not double-strand breaks. The online version of this article (doi: 10.1007/s00403-012-1212-x) contains supplementary material, which is available to authorized users. This work was supported by the grants 303/07/P314, 303/09/H048 and MSM 6198959216. We thank to Naděžda Peňáková for the assistance during sample collection and Eva Nezhybová and Eva Kašpárková for the assistance during histological analyses.